On January 12, 2019, 19 of our HRMS Band students traveled to Summerville High School to audition for South Carolina Band Directors Association Region 4 Honor Band. These students had to perform the following requirements in front of judges and were scored using a state assessment rubric: prepared solo, memorized major scales, memorized chromatic scale, 45 musical vocabulary words, 2 sightreading examples and tone. Based on their preliminary results, Sole' Bennett (7th grade) placed 2nd in Region 4 on Bass Clarinet. This placement awarded her a call-back to audition for the SCBDA All-State Band on February 2, 2019. After the All-State Auditions, Sole' ranked as the 5th best bass clarinet player in the state for middle school. This places her in the 1st alternate position of the SCBDA Junior All-State Band. She is invited to attend the All-State Band Clinic at Furman University in March. If any of the 4 bass clarinet players above her is unable to attend the clinic, she will be invited to perform in their place with the All-State Band. Because she is an alternate, Solé retains her 2nd chair placement in the SCBDA Region 4 Junior Symphonic Band. 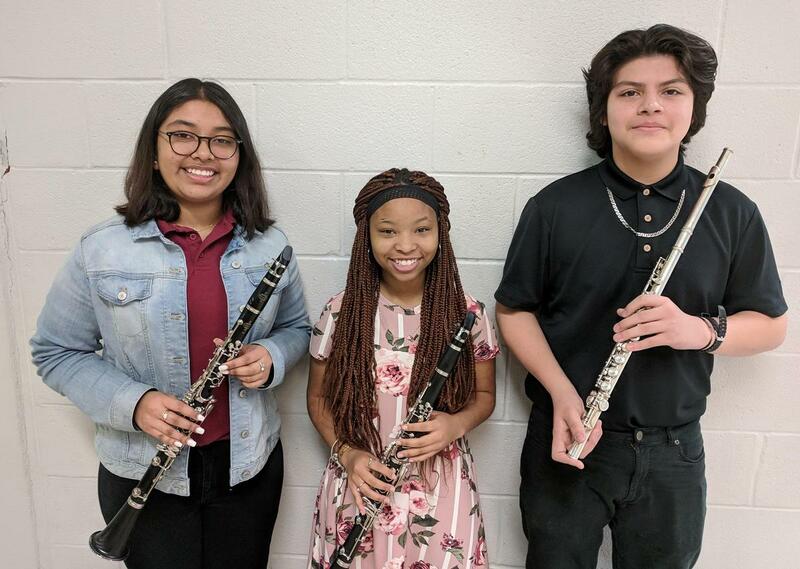 In addition, Eduardo Corado, (8th grader) is 12th chair flute in the SCBDA Region 4 Junior Symphonic Band and Nathaly Hernandez (7th grader) is 15th chair clarinet in the SCBDA Region 4 Junior Concert Band. All three of these students are invited to perform at the Region 4 Honor Band Clinic at Charleston Southern University on February 22nd and 23rd. There will be a culminating finale concert performance at 3:00pm on February 23rd that is free and open to the public. This is the most students we have ever had place in the regional Honor Band at the middle school level!